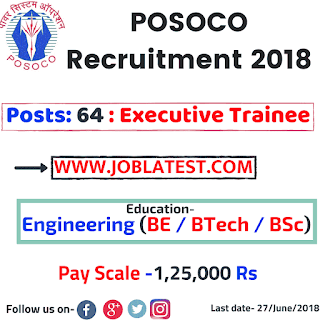 Power System Operation Corporation Limited is presently having a 64 vacancies for the Executive Trainee post. 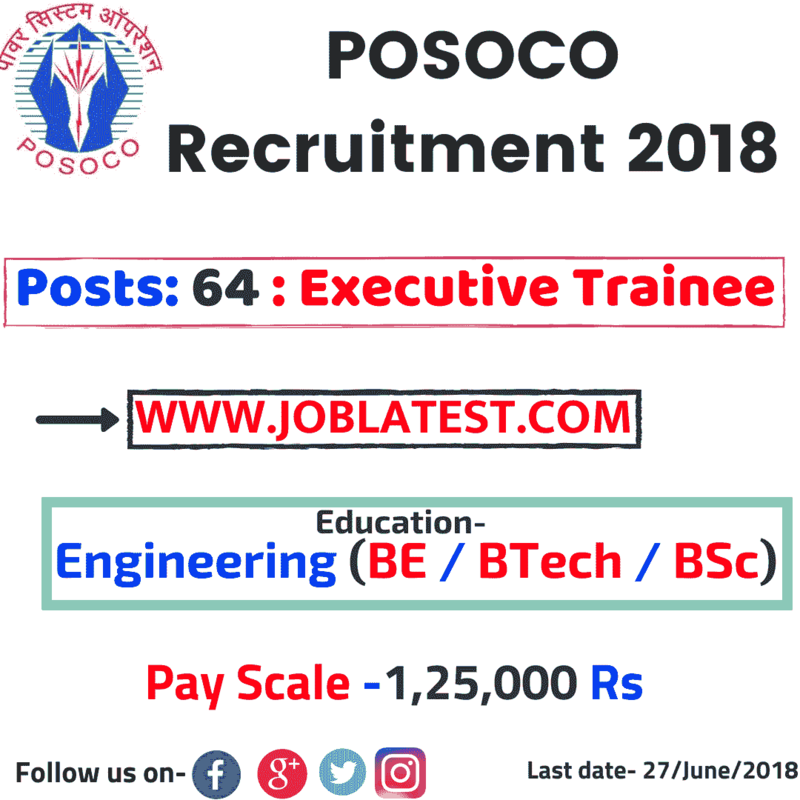 This is a latest govt jobs through GATE 2018 under posoco recruitment for the Electrical Engineers (EE) and Computer Science Engineers (CSE). All the information such as total posts, last date, notification, pay scale and apply online are given below. Education → B.E / B.Tech / B.Sc ( Engineering ) in any of the given trades with minimum 65% or equivalent. Maximum age (as on 31–07–2018) → 28 years. Application fees → 500 Rupees. 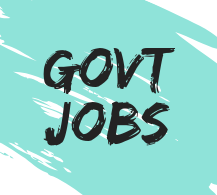 *(SC / ST / PwD / Ex–SM / Departmental candidates are free to apply). Final year / semester students can apply if they get their result up to 14–August–2018. Candidate should have GATE–2018 Score. GATE–2017 or prior is not valid.